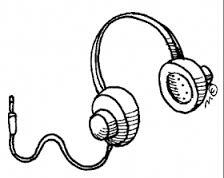 Audiobooks have been around since the 1930’s. They started out as books on phonograph and eventually graduated to vinyl record and cassette tape. Some local libraries still have copies of some audio books on cassette tape that are in great condition. Growing up as a kid, we had a ton of great story books on record that we wore out completely. We owned one of these small record players that were easy to operate. So we played as many books for hours on end to much enjoyment. I have come to believe that having an audio book on the go has become another great tool for entertainment and my continuing education as a writer. This is in addition to the many books I am reading at the same time. My ever-expanding bookshelf is evidence of my expanding mind. Besides the entertainment of an audiobook there is much to be gained from as a writer. I would encourage anyone in this business to give some thought to listen to an audiobook and see if you can learn from it. To date, I have found that delivery in dialogue is something that one can pay very close attention to. An audiobook that is read by the author who wrote it will convey a strong message to the listener. They are reading the story as they told it and as they wrote it. It is as if you were sitting down in the same room with them as the hired gun to help them write and publish the written book with the tape rolling. You can also find many classics that have been recorded for audiobook format in the iTunes store. Some of these classics are read by some of the greatest talents in the arts. Britain’s Patricia Routledge is one of my favourite actresses. A real legend of screen, stage and sound. Her near flawless delivery has allowed her to amass an extensive list of credits for audio books. Check out some of her readings of some of the greats and you will agree completely that her delivery can teach many things about telling a story. She can take even seemingly dull classic content and make it come to life as it should. No one in the word business wants to deliver product that is difficult, drab and boring. Even content written for webpages needs to be delivered with clean and clear language. If you are writing a story, then tell the story as if you are reading it to a crowd of millions of people who are tuned in to every word. If you are a freelance writer working on something like a product description, then summarize the product as if you were selling it directly from a demonstration booth at a trade show. After all, that is what the client is likely paying you to do. In the quest for continuing education in writing you should consider audiobooks as digital textbooks of the trade. If you come across a really good one you may end up listening to it a few times as I have. Just so you can take any lessons learned and apply them practically to your productions. Posted in Notes from the Frogpond.Tagged actresses, arts, Audible, audio book, audio books, audiobooks, book shelf, bookshelf, cassette, classic literature, classics, compact disc, Content, freelance writer, freelance writing, iTunes, lessons, listening, mondayblogs, Patricia Routledge, phonograph, records, smartphone, writing, written. Previous Post In Memory of Taylor Negron. When Lost For Words, Work On.